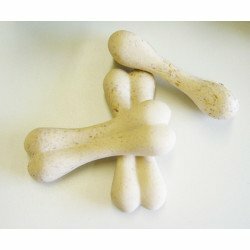 Vegan Dog Treats? Sure, why not! 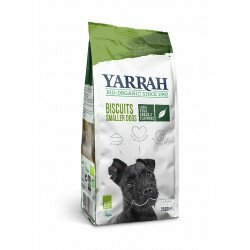 These natural, low fat, chemical free Vegan yummies are perfect for keeping your dog in great shape - including their teeth! 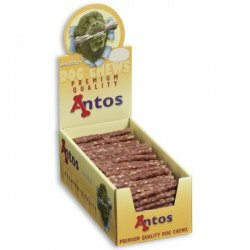 We stock all the most bonza brands, including Antos, Soopa and Yarrah Organic. Vegan treats have a low environmental impact and help to combat climate change - so if your dog keeps telling you treats are important, they're right! These Toothbrush treats are extra healthy, eco-freindly, entertaining and completely vegan. It will support your dogs immune system, aids digestion and help to reduce the symptoms of ageing (for your dog!) 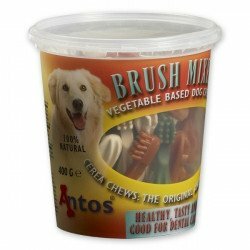 It is also specially designed to help clean your dog’s teeth. 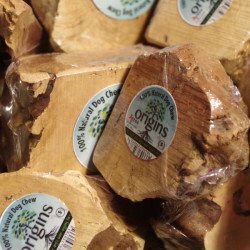 These Farm Roll chews are gluten free, low fat, eco-freindly and completely vegan. 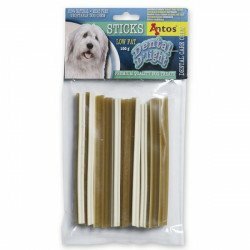 This Cerea snack is made from potato starch and is specially designed to help clean your dog’s teeth. An Ideal quick and enriching treat. Also get 10% OFF with our Multibuy box offer! 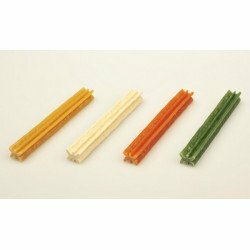 These Mini Toothbrush Chews in a tubs of 50 are low fat, eco-freindly, entertaining and completely vegan. 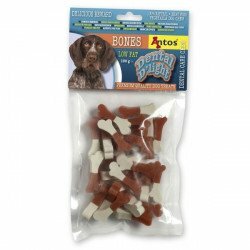 This Cerea snack is made from potato and wheat and specially designed to help clean your dog’s teeth. An ideal quick and enriching treat. Plus how cute and small are they!!! (Till the dog gets their paws on them that is)!! 400g Now Gluten Free! 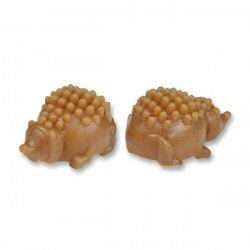 These Mini Hedgehog treats are low fat, eco-freindly, very entertaining and completely vegan. This Cerea snack is made from potato starch and are wheat free. 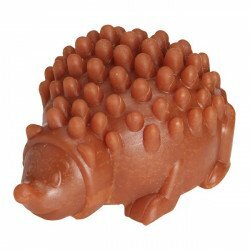 They are specially designed to help clean your dog’s teeth, plus how cute are they!!! (Till the dog gets their paws on them that is)!! Approx 5cm x 2.5cm. 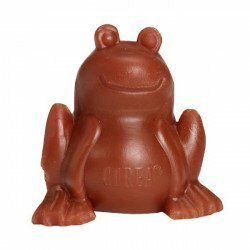 These Frogs are low fat, eco-freindly, very entertaining and completely vegan. This Gluten Free Cerea snack is made with potato starch and designed to help clean your dog’s teeth. Why not put some peanut butter inside for extra food time fun. Also get 10% OFF with our Multibuy offer!